The twists and turns of the George Washington Bridge scandal continue to dog Gov. Chris Christie, R-N.J., with a fresh round of subpoenas issued into the traffic-snarling lane closures on the busy bridge and a new poll reflecting a deep erosion in Christie’s political standing since the scandal engulfed his administration. 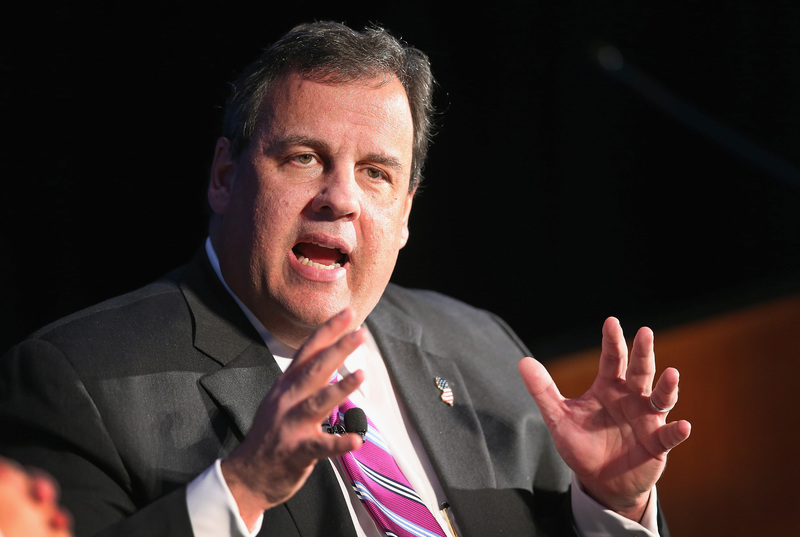 The controversy has taken a dramatic toll on Christie’s competitiveness as a potential Republican presidential candidate in 2016, according the poll released Tuesday by McClatchy-Marist. In a hypothetical head-to-head matchup with former Secretary of State Hillary Clinton, the New Jersey governor trailed Clinton 58 to 37 percent. Among the Republicans tested against Clinton, only former Alaska Gov. Sarah Palin fared more poorly. Last month, Christie trailed Clinton by 13 points in the same survey. In the poll, 45 percent of voters said they believe Christie was being truthful when he said he was not aware of his staff’s role in ordering the lane closures as an act of political payback against a local mayor who’d declined to endorse his reelection bid. 47 percent of voters said he was not being truthful. Last month, only 32 percent of voters doubted Christie’s veracity. Perhaps the biggest problem for Christie is that there doesn’t yet seem to be a light at the end of the tunnel. Between the two probes into the scandal – one by New Jersey legislators and another by federal investigators – it’s likely that new revelations will continue to churn the news cycle for months to come. To wit: on Tuesday, a New Jersey legislative probe into the scandal issued 18 new subpoenas seeking information from a former official with the Port Authority – which oversaw the lane closures – who testified before the committee in November, before it was revealed that Christie’s administration had been involved. The official, former Port Authority Deputy Executive Director Bill Baroni, told the committee in November that the lane closures were ordered as part of a traffic study to determine the impact of local lane closures on the bridge’s traffic flow. In the months since his testimony, no evidence of such a traffic study has emerged, and critics have charged that the initial explanation was a smokescreen to mask the underlying political motivation behind the lane closures. Baroni’s account was not provided under oath in November, but Democrats on the panel are hoping to determine who helped him prepare his testimony. Under fire on multiple fronts, Christie was at least given some semblance of a break on Tuesday, when the New Jersey Election Law Enforcement Commission gave his reelection campaign permission to use money leftover from Christie’s 2013 race to cover legal costs incurred by complying with the subpoenas. The commission’s chairman explained the decision as a way to prevent any delay in the timely provision of documents requested. “The people of New Jersey, they want answers,” Chairman Ronald DeFilippis said, according to the Newark Star-Ledger. The governor has strived in recent weeks to inoculate himself against perceptions of impropriety, firing several aides and advisers involved in the snafu and insisting he was unaware of the situation as it unfolded. That was the message Christie carried with him to Chicago, where he traveled Tuesday to raise money in his capacity as the head of the Republican Governors Association. During a question and answer session hosted by the Economic Club of Chicago, Christie declared ignorance of his staff’s “bad judgments,” and he stressed the “decisive action” he took in dismissing his aides after the scandal went public. “And if there’s more action that needs to be taken, I’ll take it,” he added, according to the Chicago Tribune. Democrats, for their part, have been eager to kick Christie while he’s down. Chicago Mayor Rahm Emanuel, formerly President Obama’s chief of staff, offered Christie a snarky welcome to the “public transportation system and the roads here in the city of Chicago,” according to the Tribune. Christie also discussed the tenure of former President George W. Bush, who helped kickstart his career by nominating him as a U.S. Attorney a dozen years ago, noting the redemptive effect time can have on once-unpopular politicians.